A row of these bookshelves would make quite an impact. 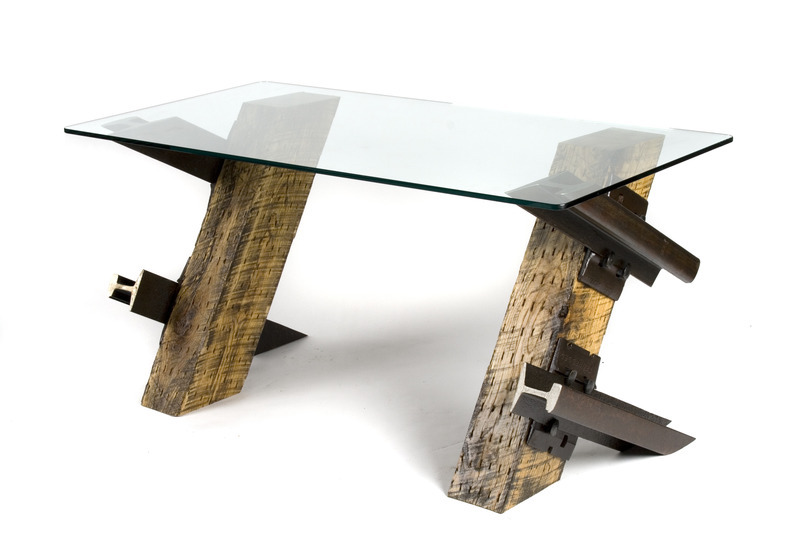 This coffee table may even trump the brick layer table for me. I could also imagine it with a zinc wrapped or concrete top. Might be possible since they do custom work as well. Seriously one of the coolest coat racks I have ever seen. This desk is simply A.M.A.Z.I.N.G. If you have been reading for awhile you know I love more masculine pieces mixed in with a bit of feminine. I think any one of these pieces would work beautifully. Of course, the Mr. would love a man's office decked out with every piece and I just may be okay with that. Ha.